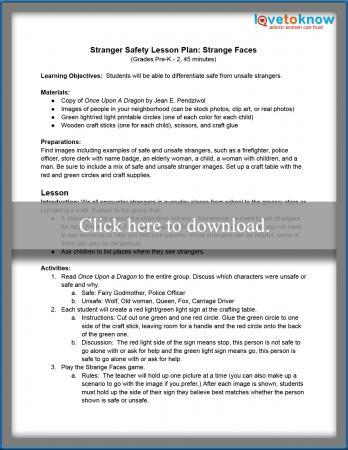 Lesson plans about stranger safety are a great way for students of different ages to learn how to deal with situations where someone they don't know approaches them in person, online, or over the phone. Discussions about safety issues repeated often help students prepare the skills needed to react appropriately if they encounter a dangerous situation with a stranger. Aimed at students in preschool through second grade, this lesson plan teaches children about the concept of safe and unsafe strangers. The goal is to help young children understand some strangers are safer to ask for help or trust than others. The story Once Upon a Dragon by Jean Pendziwol is used for the lesson, but other books about strangers can take its place. To download, simply click on the thumbnail. 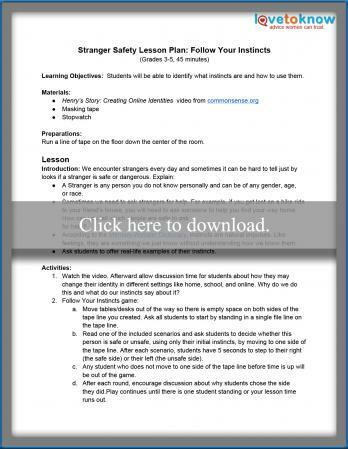 If you need help downloading this or any other lesson plan, please see LoveToKnow's Guide for Adobe Printables. Upper elementary students learn more complex concepts like tuning in to their natural instincts. This active lesson plan will help third to fifth graders learn what an instinct is and practice following their own natural inclinations. Conversations that never involve face-to-face interactions are a daily occurrence for middle school students. Learning appropriate communication skills in text-only encounters helps keep emerging teens safe online. 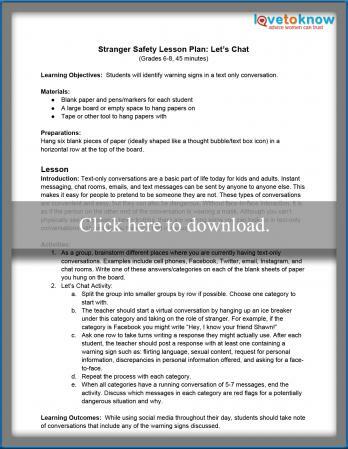 This lesson builds communication skills using the relatable format of text or instant messaging. In a technology-driven world, high school students are exposed to a whole new level of strangers. 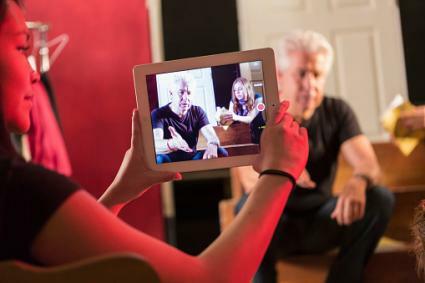 The goal of this lesson is to help students discern between information appropriate for sharing with different people they may encounter in text or voice-only scenarios. Not all strangers are bad or dangerous. Memorize basic personal information, such as full name, parent's names, address, and phone number. You can't tell if a person is dangerous based solely on whether they are attractive. Use techniques appropriate for the age group you are working with and include information from reputable sources like the National Crime Prevention Council or Scholastic. Preparing children for potentially dangerous encounters with strangers in any setting could help save their lives. Provide frequent and relevant lessons across all ages regarding stranger safety to give students the skills they need to react appropriately in any situation.